Led by Greenlight receiving manager Grace, our young readers book group in Fort Greene is geared toward kids ages 9 to 12, and reads great contemporary and classic chapter books. Parents are welcome (but not required) to attend, and pizza is served. 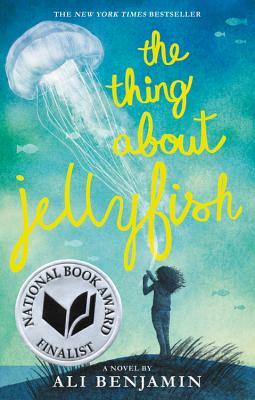 For September, the group discusses Ali Benjamin’s National Book Award finalist and New York Times bestseller The Thing About Jellyfish. Everyone says that it was an accident... that sometimes things "just happen." But Suzy won't believe it. Ever. After her best friend dies in a drowning accident, Suzy is convinced that the true cause of the tragedy was a rare jellyfish sting. Retreating into a silent world of imagination, she crafts a plan to prove her theory--even if it means traveling the globe, alone. Suzy's achingly heartfelt journey explores life, death, the astonishing wonder of the universe...and the potential for love and hope right next door.